We oftentimes hear fans flaunting the significance of their team’s home field advantage – as if there’s some kind of magical recipe for success that’s contingent upon a team playing on their own turf. And while that may be the case in the world of sports, the same cannot necessarily be said of the ever-competitive smartphone market. 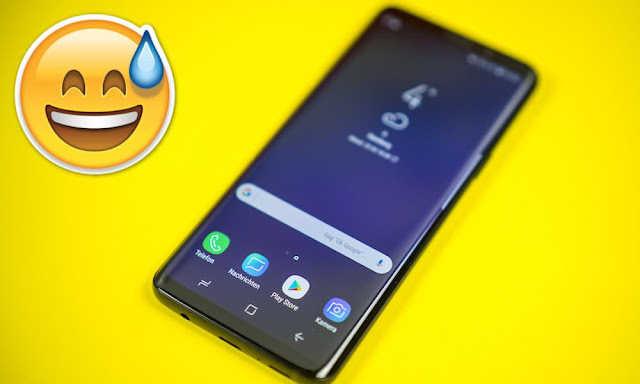 Samsung recently learned this lesson in the most sobering way possible, as a new report asserts that the South Korean tech conglomerate has thus far sold less than 1,000,000 Galaxy S9/S9+ smartphones in its home country. Citing the latest sales figures aggregated from South Korea’s three largest telecom providers, SK Telekom, KT, and LG Uplus, the official Korea-based ET News agency (via The Investor) reports that Samsung sold a meager 707,000Galaxy S9/S9+ smartphones during the two-month period they’ve been available. Numerically speaking, all three wireless providers, combined, reported sales of 476,000 Galaxy S9s in March, while shipping just 231,000 units in April. All in all, Samsung sold about 300,000 less Galaxy S9 devices in South Korea than it sold Galaxy S8s during the same two-month period last year. While it’s likely those figures will continue to drop, simply given the initial demand for Samsung’s latest flagship has already tapered off, it’s also worth pointing out that Apple is in no better position on the Korean peninsula. According to ET News, citing figures from the same three telecom-giant’s, Apple only sold 475,000 iPhone X units between their unveiling in November 2017 and April, 2018, with just 100,000 being sold in February. Today’s report appears to be more fuel to the fire of previous reports which have pointed to an overall downward trend in the demand for high-end smartphones, as would-be buyers increasingly look to preserve the longevity of their current devices in lieu of going out and plunking down big money on an upgrade year-after-year. And while Apple and Samsung represent the world’s largest manufacturers of high-end devices, it’s safe to say that if these trends do continue, both companies may experience even more volatility in the coming months.